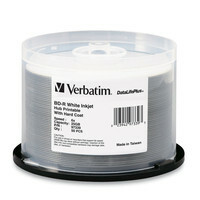 Since its beginning in 1969, Verbatim® has been at the forefront of the evolution in data storage technology. 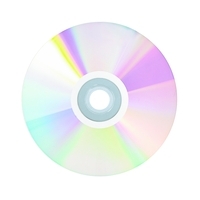 Today, 40 years later, Verbatim remains one of the most recognizable names in the data storage industry. Customer-driven, Verbatim is known for adding considerable product value--above and beyond its competitors--to established media technology. As an industry pioneer, Verbatim is recognized for the role it plays in early product development and commercial product introduction of new technologies. 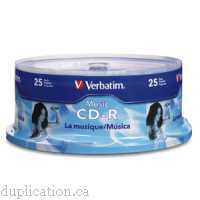 Verbatim's leadership role is especially apparent in the evolution of optical media recording including MO and the CD/DVD family of products. 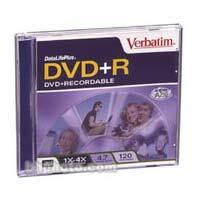 Verbatim's current line up of products include CD-Recordable, CD-ReWritable, DVD-Recordable, DVD-ReWritable, USB, Tape, Floppy Disks, Memory Cards, Imaging and accessories products and the latest High Definition storage media, Blu-ray and HD DVD. Attention: Please contact us for special professional user and wholesale rates on the specialty Verbatim items in this table. 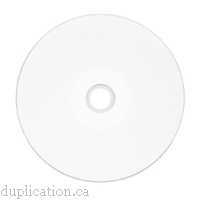 Verbatim 8X blank DVD+R DL media with white inkjet hub-printable surface. 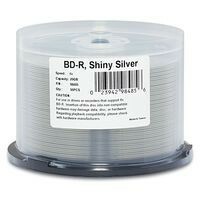 Preferred by DVD drive manufacturers, Verbatim Shiny Silver DVD+R DL media continues to set the standard for high-speed disc performance, reliability, and compatibility. 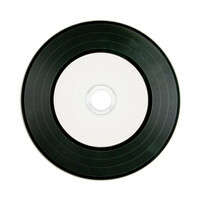 Certified and supported by the industry high speed Double Layer writers, Verbatim discs are approved for high speed burning up to 8X speeds. 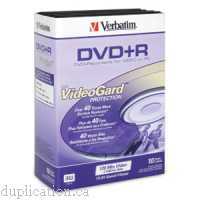 All backed by Verbatim’s limited lifetime warranty.